The already-forgotten August sell-off has pushed most hedge fund managers to discard their low-potential stocks and pile up more shares of high-potential companies. The recent stock market turmoil emphasizes the importance of hedge funds’ top stock picks at the end of the third quarter, as they might turn out to be among the best performing stocks in the months and years ahead. Having said that, the following article will discuss the top five stock picks of London-based hedge fund Sloane Robinson LLP as of the end of the latest quarter. Sloane Robinson was founded in 1993 by Hugh Sloane and George Robinson and employs a long/short equity strategy. Even though the London-based investment firm primarily focuses on the Emerging, Pacific, and European markets, it also manages a relatively sizable U.S equity portfolio. As stated by its most recent 13F filing with the SEC, Sloane Robinson manages a concentrated equity portfolio with a market value of $89.31 million as of September 30, compared with $101.67 million registered a quarter ago. Let’s move on to the list of the five largest equity holdings of Sloane Robinson at the end of the September quarter. We pay attention to hedge funds’ moves because our research has shown that hedge funds are extremely talented at picking stocks on the long side of their portfolios. It is true that hedge fund investors have been underperforming the market in recent years. However, this was mainly because hedge funds’ short stock picks lost a ton of money during the bull market that started in March 2009. Hedge fund investors also paid an arm and a leg for the services that they received. We have been tracking the performance of hedge funds’ 15 most popular small-cap stock picks in real time since the end of August 2012. These stocks have returned 102% since then and outperformed the S&P 500 Index by more than 53 percentage points (see the details here). That’s why we believe it is important to pay attention to hedge fund sentiment; we also don’t like paying huge fees. 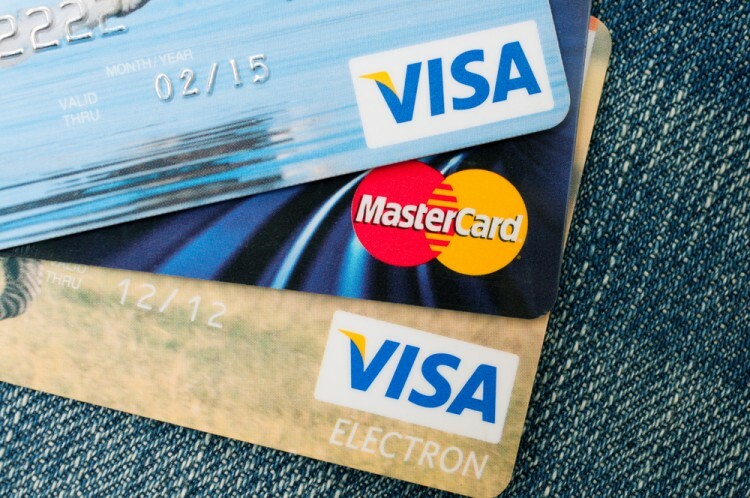 Visa Inc. (NYSE:V) represents a new addition to the list of top five stock picks of Sloane Robinson. The London-based firm increased its stake in the payments technology company by 3,800 shares during the third quarter. The shares of Visa gained roughly 4% during the latest quarter and are 18% in the green year-to-date. Just recently, United Services Automobile Association announced that it had discontinued its partnership with Mastercard Inc. (NYSE:MA) and is moving to Visa. As a result, USAA intends to exchange its customers’ existing credit and debit cards for Visa cards throughout 2016. At the same time, Visa’s Board of Directors has recently announced a quarterly cash dividend of $0.14 per share of Class A common stock, which marks an increase of roughly 17% from the previous dividend. Ken Fisher’s Fisher Asset Management reported ownership of 14.63 million shares in Visa Inc. (NYSE:V) during the current round of 13F filings. Taiwan Semiconductor Mfg. Co. Ltd. (ADR) (NYSE:TSM) was the third-largest equity holding of Sloane Robinson at the end of the second quarter. However, the investment firm reduced its holding in the independent semiconductor pure-play foundry by 169,800 shares during the third quarter. Most people familiar with Taiwan Semiconductor Mfg. Co. Ltd. (ADR) (NYSE:TSM) already know that the chips for Apple Inc. (NASDAQ:AAPL)’s iPhone 6s are produced by either TSMC or Samsung. However, it has been rumoured that TSMC’s 16-nanometer A9 chips provide up to two more hours of battery life than Samsung’s 14-nanometer A9 chips. As a result, it is believed that TMSC will represent Apple’s sole supplier of A10 chips. At the same time, TSMC has been progressing in bringing Integrated Fan-Out (InFO) technology to mass production, and Apple is supposed to be one of the key first customers. Reportedly, the tech giant will use InFO for its iPhone 7. This is great news for Taiwan Semiconductor’s shareholders and for Apple fans as well, considering that the technology will enable manufacturers to produce lighter and thinner phones. Fisher Asset Management added roughly 903,000 shares during the third quarter to its holding in Taiwan Semiconductor Mfg. Co. Ltd. (ADR) (NYSE:TSM) that now comprises 27.52 million shares.